While Thomas is on leave for the next few weeks, Nathaniel will be sharing with you his favorite Tony moments. Ok, so I’m actually going to bend the rules in my very first post by presenting a) TWO video clips from the same show and b) one of which being a Olivier performance. Thomas – you can hash it out with me when you’re back in the office! It’s certainly not the most deep musical – thematically, structurally or musically – but gosh darn it if it’s very 21st century messages “don’t dumb yourself down for a guy” and “if you can’t love yourself, how in the hell you gonna love somebody else” (can I get an amen in here) aren’t exactly what its audiences need to hear. 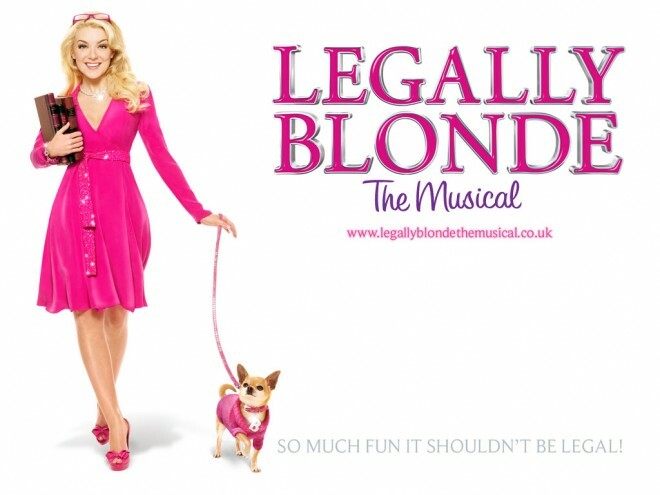 Breaking out of her Amber plastic sneer and embracing a shark-beneath-the-pink demeanour, Laura Bell Bundy rocks it as Elle with an all star cast supporting her. The choreography may be a bit wonky, the music a bit too saccharine, but it’s the ultimate addictive substance and the perfect antidote to rainy fall days. No video of its original Tony performance exists for public access, probably because it premiered in the infamous “There is No Host” year at the Tonys. But, for your viewing pleasure, I present the 2009 Touring cast (on the awkward “why is there a stage in the middle of the audience?” 2009 Tonys) and the Olivier performance, which perfectly encapsulates the NEED to dance along. So turn up your volume, get up and get down, because Elle Woods in in town this Tuesday!